Malawi is a country located in southeastern Africa. It is bordered in the North and East by Tanzania, on the east, south, and southwest by Mozambique and to the west by Zambia. 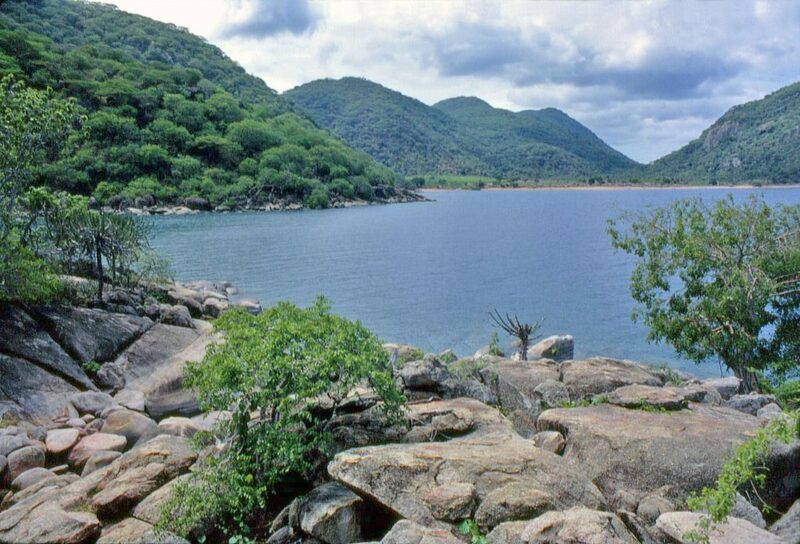 Lake Malawi is the county’s centerpiece known locally as Lake Nyasa. 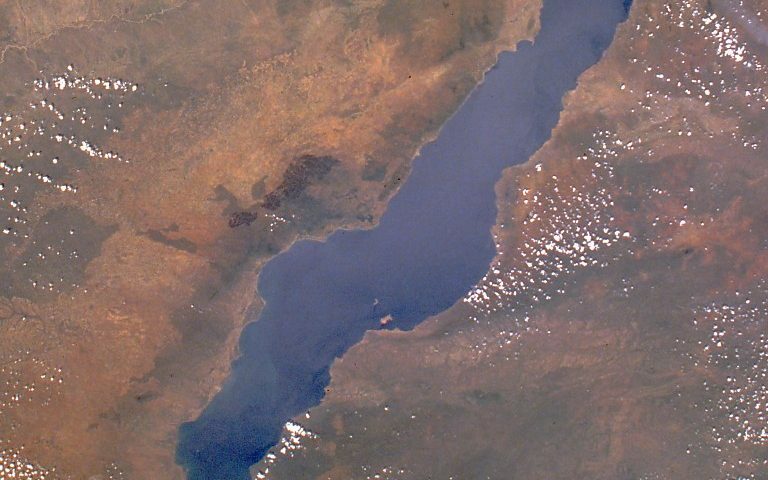 Lake Malawi has formed 1 to 2 million years ago. Lake Malawi is the ninth largest lake in the world and the third largest lake in Africa. This geologically young, rocky lake of the East African Rift is about 375 miles (604 km) long and 53 miles (85 km) wide and 700m deep in some areas. Lake Malawi occupies one-fifth of the country’s total area Lake Nyasa is the most southerly of the great African Rift Valley lakes . It is a freshwater lake about 1,500 ft above sea level and is the countries most prominent physical feature. What makes Lake Malawi even more special is the greatest variety of indigenous species of Cichlid fishes than any other lake in the world. World Wildlife Fund researchers have identified over 700 species of cichlids ( with some estimating that the actual figure is as high as 1,000 species ) that are not found anywhere else in the world ( almost all cichlids in the lake are endemic to the Malawi system); that is more than all the freshwater species found in all waters from both Europe and North America combined. The cichlids of Lake Malawi are usually brightly colored and patterned and thus became very popular with aquarium enthusiasts all over the world. Due to the overwhelming species found in the lake, classifying cichlids and also naming the species is a very hard thing to do. Many of the cichlids found are given the prefix of the location where they are located. TIP: click on INFO sign while in the gallery view to get more information about all locations. Mbuna – mostly herbivore fish; smaller in size. Haplochromis – mostly carnivore fish; bigger in size. Aulonocara – omnivores fish; medium size. Lake Malawi’s hardness ranges from 4.0 to 6.0 dH ( carbonate hardness ranges from 6.0 to 8.0. ) The reason for the variation is caused by the level of Carbon Dioxide dissolved in the water. In areas with turbulent water, where the water is better aerated, the pH is higher, while in calm bays, the level of dissolved Carbon Dioxide is higher; consequently, the pH is lower there. Surface temperature ranges from 24 to 27°C (76 to 85 °F), while the temperature at lower levels of the lake remains at a constant 21°C (70 °F ). About one-third of the coast is rocky, which is home to the mbunas species. The remaining shoreline is characterized by sandy beaches and bottoms. This is where most of the open-water species called Haplochromis and peacocks dwell. A few Cichlid species inhabit the muddy and weed-strewn bottom where larger rivers flow into the lake. AD Konings who did all the reasearch and gave us a wealth of information for all us aquarium enthusiats.